That’s a quote from Barry Martin. Yes, Barry is about as humble a guy as you’ll ever meet. But don’t let him fool you. Barry and the rest of the team at Blue Ball Garage Inc. are serious promoters. Every year (20 in a row), they offer their customers a chance to save real money on a set of tires. So, who is this Blue Ball Garage? They get their name from their location. 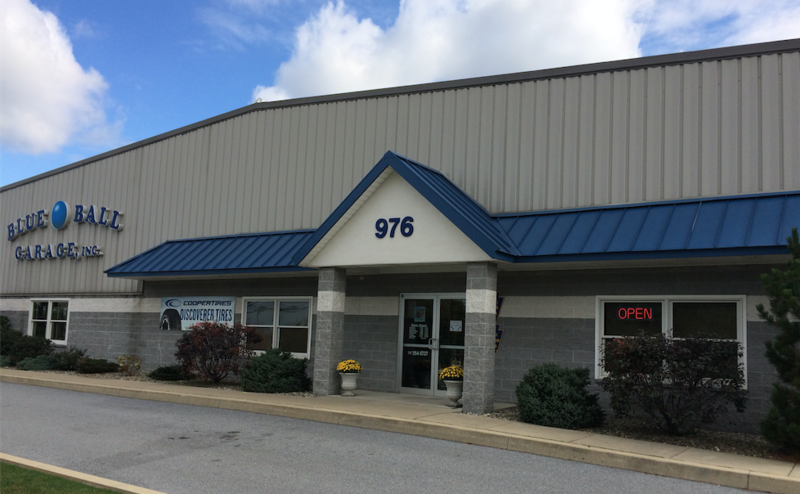 Blue Ball is a pretty little town located in eastern Lancaster County of PA. The business was founded in 1952 by Barry’s grandfather Paul Martin who ran it until 1971. Barry’s father John and uncle Jay continued until 1998 when Barry and his brother Doug became partners in the business with their father after buying their Uncle Jay’s shares. Today they occupy a modern, super clean, 11,000 square foot shop, and employ 6 technicians and an office staff of 2 including Barry’s mother Marilyn and wife Pam. Each September, BBG runs a Customer Appreciation event that lasts for 3 weeks. The first 2 weeks are advertised, and the third week is for the stragglers that just couldn’t find time to make it in. They are diligent with their promotion of the event. The marketing team at K&W Tire (including a resident graphic designer) brainstorms with the BBG crew each year and together they map out a plan. In the past, we’ve helped with a logo design, layout, printing and mailing of direct mail pieces and newspaper ads. 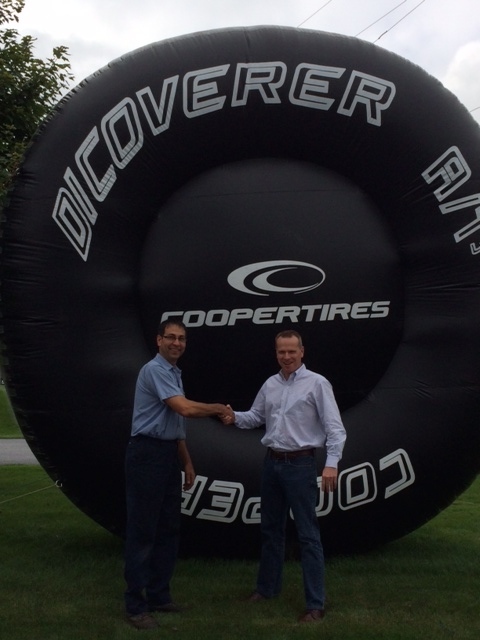 Since last year was a special 20th anniversary event, we even helped with a massive inflatable Cooper tire to draw extra attention. 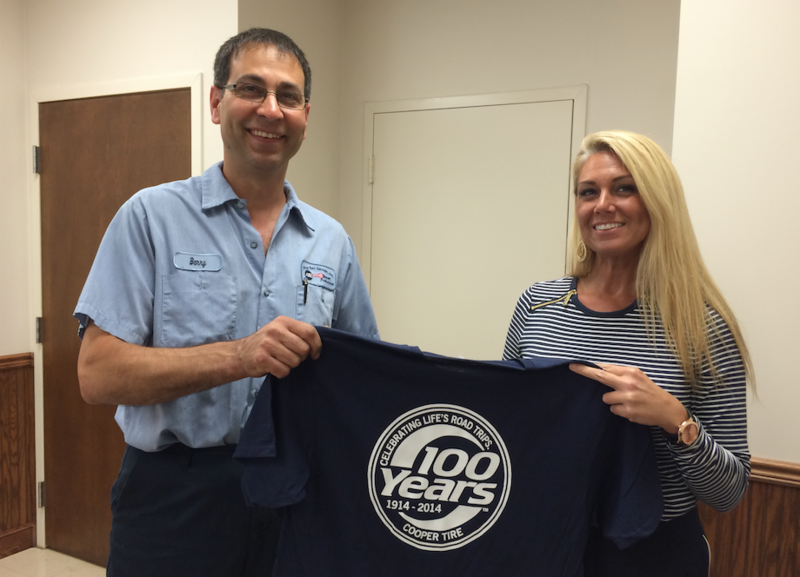 Every customer that purchased a set of tires received a free T-shirt with the BBG logo on the front and Cooper’s 100th anniversary image on the back. What’s in it for their customers? Very special sale pricing, the shirt, and complimentary coffee, snacks, and soft drinks while they wait for installation. All customers are registered for door prizes that are given away on the last day of the sale. Happily, over the last few years the sale coincided with Cooper’s “Take the money and ride” national consumer rebate event so the savings are even greater. When it’s all done and the last tire is installed, the BBG crew relaxes with a pizza party. What does all this hard work yield? In just 3 weeks time, while still taking care of all the other automotive service and repairs, the crew is happy to say that they installed 368 tires! In just 3 weeks time, while still taking care of all the other automotive service and repairs, the crew is happy to say that they installed 368 tires! The 2015 sale is just a few weeks away from starting and we’re hoping to see another record. “Just a garage trying to sell tires” … just like most of you. Maybe this will encourage you to think about what you could do. We love working with Barry and Blue Ball Garage on this event, and we’d love to help you. We say that a lot, but we mean it. Maybe a little help from K&W is what would put you over the hump to run some kind of promotion for your customers. Let’s talk. We would love to hear from you. NEW* Falken now offering road hazards on select lines! typer.one on Looking for a tire industry newsletter that’s a little different? Togel Online on Looking for a tire industry newsletter that’s a little different? bosch nhap on Looking for a tire industry newsletter that’s a little different? Does Anapolan Max 50 Work? on Looking for a tire industry newsletter that’s a little different?